Want to know whether that fruit fly is a dangerous new import? Or if the mussel you are about to eat has been feeding on toxic microalgae? Or what organisms are attached to the bottom of that boat? Call your local taxonomist. The trouble is, the few there are don’t get to spend much time actually doing taxonomic research. A new Royal Society of New Zealand report released this week highlights the underfunding of this crucial area. 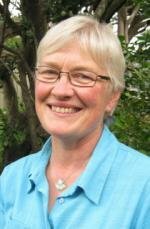 The National Taxonomic Collections of New Zealand panel convener Professor Wendy Nelson FRSNZ fills us in on the problems we could face, if underfunding continues. The report says New Zealand taxonomic collections contain about 10 million invertebrate specimens. Why so many? Invertebrate groups are very numerous – and occupy a huge range of habitats from the deepest ocean floor to mountain tops, including in soils, waters, forests, as well as in urban environments. We still have a lot to learn – for example, about 70% of New Zealand arthropods remain undescribed. While some of the invertebrates in our collections are foreign, by far and away the bulk of these collections will be collected from New Zealand. People often ask “why do you need to keep so many specimens?” – you need a range of specimens to understand different stages, to see if species look different in their juvenile and adult stages, if they look different when growing at the coast or halfway up a mountain, or in different seasons. The collections also provide a record of the physical distribution of species – their geographical range as well as ecological range. So there’s a lot that we don’t know? Yes – in New Zealand we are still in a discovery phase. Species discovery, description and classification are still a big part of taxonomic research in New Zealand. 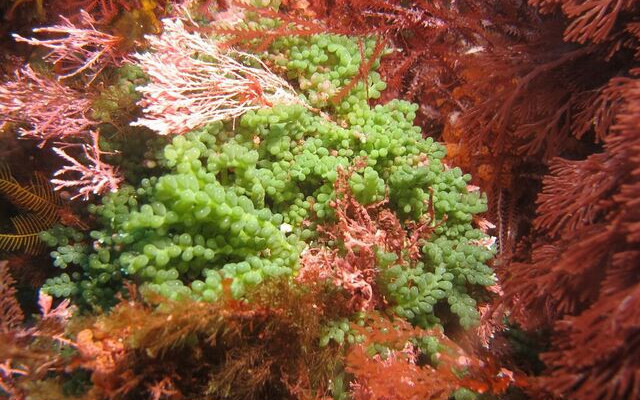 Field collecting programmes and specimen acquisition are important activities – about 15% of vascular plants are not yet described, and about 80% of New Zealand’s biota found in the sea yet only approximately 1% of our marine domain has been explored so far. What’s the worst that could happen, if species are not correctly identified? The most urgent failures would affect food safety and biosecurity. For example if a fruit fly is discovered at Auckland airport, do we have the capability to distinguish that fruit fly from other fruit flies? Is it a fruit fly that is already present in New Zealand – or is it one that will pose a very serious risk for New Zealand horticulture? Another example would be checking for the presence of toxic algae in our shellfish exports. New Zealand has $1.5 billion worth of seafood exports, and it is critical that this food is safe and our reputation for safety is maintained. Some toxic algae have the potential to kill – so this is a very serious issue. Weeds and pests cost New Zealand a great deal of money, affecting the economy, the environment, human health and cultural values. To have an effective biosecurity system we need to be able to distinguish native from non-native species – and we need also to be able to evaluate the risks that particular weeds and pests may pose so there can be rapid and decisive action if required. All this rests on having authoritative names and accurate identifications – and this requires the underpinning taxonomic knowledge. In New Zealand we have very modest numbers of people working in taxonomy, and, in addition, people that are expert taxonomists are funded for a very small proportion of their time to do the work. Most publicly-funded taxonomists can only spend less than a quarter of their time on taxonomy research. There are systems issues to tackle too. Museums, universities and Crown Research Institutes all receive funding from different sources. Funding is frequently on short time cycles. The key stakeholders/end-users and the beneficiaries of taxonomic research are not well connected with the funding processes, and there’s no place where thinking about New Zealand as a whole happens. The biological collections that support taxonomy are heritage assets as well as scientific assets – starting with the specimens collected on Captain Cook’s first voyage to New Zealand. Are specimens and taxonomists at risk? Absence of national-scale oversight means that the collections and the staff are vulnerable to individual institutional policy changes and priorities – and in addition the declining funding is placing severe constraints on organisations. For example, in the past six years Landcare Research has lost around 12 taxonomy and collections staff through redundancies, reduced hours, and non-replacement of staff. For the Cawthron Institute current funding only allows the successful care and maintenance of a fixed number of living microalgal species. If they discover new taxa and want to retain them then they have to get rid of existing cultures. Recent research on toxic algae that may be able to survive in New Zealand waters because of climate change has forced Cawthron to be selective and cull some strains – while continuing to underpin seafood safety research. The NIWA Invertebrate Collection has been closed in successive years for one month each year to conserve and manage funds. Retiring taxonomists have not been replaced as the proportion of individual scientists’ time funded from taxonomic programmes is insufficient to make a case for staff recruitment. What could you do with more funding? There are some fantastic opportunities with new approaches for analysing data, for sharing information, for databasing and digitising collections. For example, Landcare Research has applied some new metrics and analytical tools to interrogate databases – to look at spatial data and examine where hot spots of endemism occur, where threatened species are distributed – and compare these distributions with where there are protected areas, or reserves. This approach helps to identify important areas of endemism for conservation prioritisation, planning and management and environmental reporting. It can tell us where we should be focusing our conservation efforts in a cost effective way. But the fundamentals need to be sorted out. We need to stop the erosion of capacity through redundancies and retrenchments. There’s a lot of really exciting things we could do in the future if we could just get our house in order first –for example, coordination of taxonomic research and collection policies across institutional boundaries for better outcomes for New Zealand, investing in taxonomy and collections so that there are sufficient resources to meet New Zealand’s needs, (e.g. to get backlogs of specimens databased, to enable data to be shared), to improve the level of legal protection for collections, and to support and enhance opportunities for training to ensure New Zealand has a strong and expert taxonomic workforce. The title image was taken by Roberta D’Archino, NIWA. Speaking as someone who was (fairly minimally) involved in the input process, I have some misgivings about this report. Firstly, throwing money at a problem is rarely sufficient to help to solve the problem. At a minimum, we also need a very clear and concise statement of the problem and how the money will be used to help to solve the problem. It seems to me that the latter is lacking in this case. I suspect that the government has already agreed in principle to give N.Z. taxonomists what they have been lobbying for (i.e. more funding), but requires a large and largely incomprehensible report to be able to point to, should they be challenged over the issue. The Royal Society appears to have delivered exactly that! The very real danger is that any extra funding for “taxonomy” will just get swallowed up without their being any significant extra benefit to the country. A large number of separate issues have been mishmashed together in the report and in the above post. Most taxonomy which is done in N.Z. has little or no relevance to biosecurity issues. MPI employs diagnosticians to handle biosecurity cases, and consults as necessary with taxonomists both in N.Z. and overseas. I am unaware of any particular difficulties affecting this process at present. Is there an urgent need for more funding from a biosecurity perspective? Possibly not. Biosecurity aside, the rest of “taxonomy” is about documenting N.Z. biodiversity. While this is indeed a very worthwhile area of research, it typically does not have any of the important impacts alluded to in the report and in the above post. Given that the enormity of biodiversity means that we simply must prioritise, simply throwing more money generally in the direction of taxonomy is unlikely to be an efficient thing to do. I suspect that taxonomists in N.Z. are feeling rather underpaid and underappreciated by both government and their employing institutions. This appears to be the real motivation behind the current report, not any risks to the biosecurity etc. of the country as the result of a poorly funded taxonomic workforce, however unhappy that workforce might feel. I wonder if Stephen saw the Didemnum vexillum fouling sea squirt example in the report (an alien with economic effect but first assumed to be native)? Whether or not a marine species is native or alien is often difficult to determine, and requires new research by taxon specialists. MPI has no employee expertise in this area, and to consult with taxonomists the NZ taxonomists need first to exist. Speaking also as someone who has been the discoverer/identifier of most of the validated new to N.Z. insects reported in MPI’s ‘Surveillance’ magazine, including the widely publicised giant willow aphid (see http://www.scionresearch.com/__data/assets/pdf_file/0007/43594/FH-News-March-2014.pdf), I do know a thing or two about what is required to determine if a species is native or exotic. An intersting case is “kauri scale”, which I also discovered (see p. 2 here: http://www.scionresearch.com/__data/assets/pdf_file/0007/46384/FHNews-August-2015.pdf). Particularly note that they say [quote]Based on available evidence PHEL considers this scale insect most likely a New Zealand native species[unquote]. I’m not sure that I agree with their conclusion, but there is little or nothing anyone can do to definitively settle this issue, and not through lack of funding. Besides, if an exotic organism is involved, then a taxon specialist in its country of origin would be of more use than one based in N.Z. Anyway, the real issue is early detection of exotics. I have an unusually broad familiarity with N.Z. terrestrial invertebrates, which makes me rather efficient at detecting new exotics (when they are not big, bright and obvious). Taxon specialists tend to have a very narrow scope of knowledge. Ideally, we could perhaps fund a taxon specialist for every single family of organisms, but that would stretch the budget way too far! Detection also requires getting out of the office or lab and into the field, observing nature. This I do because I enjoy it. However, I don’t really think that hiring more taxonomists (or giving existing ones more money) is going to get them out and about in this manner. Hence, it probably isn’t going to help much with early detection. I don’t see either a need or a way to improve the current biosecurity situation. It certainly doesn’t provide a strong argument for throwing more money in the direction of taxonomy. Stephen’s land field-work invertebrate alien detections are obviously valuable, as is his expertise. However, I’m just wondering how one knows what the country of origin of any species is without identifying it (if identification is indeed possible as it may be undescribed)? In the case of the Didemnum sea squirt it was the foreign taxonomist, without NZ field experience, that wrongly assumed from a distance that the newly prominent new species was just a native here. Genetic work since has conclusively demonstrated it came from Japan and had spread around the world. There are hundreds of marine species in New Zealand now whose origins are uncertain (maybe some came here on the hull of the Endeavour), and also suddenly abundant nuisance species that no one has ever seen before anywhere else. We must know more about these, and for that taxonomist-biologists backed by funding and facilities are needed to do the research. (1) the direction of things isn’t that simple. Firstly, one has to recognise it as being possibly new to N.Z. Then, one has to bring it to the attention of MPI. Then MPI need to try to ID it, using all available resources (like published literature and collections*). If they still suspect that it is exotic, then they need to contact various overseas experts to see if any of them recognise it. So you try a particular country (Australia is always a good start) and then see if you get anywhere. If not, try another country. A taxonomist sat here in NZ is no better off trying to ID it. You say that [quote]Genetic work since has conclusively demonstrated it came from Japan[unquote]. So, where does the taxonomist fit in? This is an argument for more geneticists! I just don’t see that extra funding thrown quite generally in the direction of taxonomy is going to improve biosecurity in quite the was that you describe. *There may be an argument here for the value in maintaining collections (which was primarily what the Royal Society brief was supposed to be about), but this is different to “more money to taxonomists”. “… an argument for more geneticists”? Taxonomists do genetics routinely. One of the tools of the trade these days. “…maintaining collections … is different to more money to taxonomists? Yes. And a museum collection without taxonomists to run it and use it would be sad to see. I would argue that (myself excluded) it must be recognised as being possibly new before going to taxonomists. Otherwise, taxonomists would be spending all their time checking that every specimen of everything isn’t something new to N.Z.! Typically (myself excluded), the initial step is for the public (or industry) to submit a sample to MPI. Then, MPI incursion investigators make an assessment, and then consult taxonomists (here and/or overseas) as required. If it is a new to N.Z. species, then overseas taxonomists are in a better position to ID it than NZ based taxonomists, for obvious reasons. In reality though, all that MPI needs is someone that they can pass off as an “official expert” to rubber stamp their ID. Entomologists in NZ don’t do genetics that routinely at all. Dunno about marine taxonomists. I’m not sure that taxonomists can be said to “run” museum collections. Curators do that. The seven natural history curators at Te Papa are all taxonomists to at least some degree; for most, it is their main field of publishing. There is also a handful of collection managers and other researchers who publish taxonomic work, along with a few research associates. Just to correct slightly my last comment, it is collection managers who run collections. Anyway, you are correct that many if not most collection managers and curators are also taxonomists to at least some degree. I didn’t mean to imply otherwise. I’m not sure what bearing this has on the overall argument however? One line of the overall argument, and one which I am questioning, is that taxonomists should be paid more in order to improve NZ biosecurity. As a fern taxonomist, Leon, do you think NZ biosecurity would benefit from paying you more? Good evening, I work in veterinary parasitology. While incursions of unwanted organisms into NZ is undoubtedly a field that needs taxonomists, it is not the only one. Anthelmintic resistance in parasitic nematodes of domestic livestock is a problem in NZ that can and does seriously affect the productivity of livestock. The ability to control nematode parasites of farmed livestock has an economic impact and can determine the viability of farms. To assess the efficacy of anthelmintics you need a scientist who can speciate the nematodes that are being treated. The number of people that can do that is reducing as this government effectively reduces funding for agricultural science. I suspect I am the only person who currently speciates nematode parasites from deer. I hope I am wrong. I do lots of speciations of nematodes from sheep and cattle, but the number of colleagues who do this is now small. We are doing relatively mundane taxonomy, we seldom encounter new taxa either to NZ or totally new, though that does happen (for me it was Elaphostrongylus cervi in deer), but we are playing an important role. And we are getting fewer. OK, let’s look at this again. RSNZ was commissioned to report on the importance of nationally significant natural history collections. Paul, I assume that this issue is not of much direct relevance to your work? Anyway, RSNZ’s report seems instead to be about the more general issue of declining funding and declining expertise in taxonomy in NZ. If, as a result of the RSNZ report, the government makes sure that such collections aren’t in danger of loss due to becoming uneconomical for their caretaker institutions to sustain (e.g. The Entomology Research Museum at Lincoln University, which nearly met this fate), then I am all for it. However, I am not in favour of the government just generally trowing more funding in the area of taxonomy, for it will likely just get swallowed up for no real gain to the country, and this wasn’t the issue that RSNZ was commissioned to report on! OK, let’s look at this again. RSNZ was commissioned to report on the importance of nationally significant natural history collections. Paul, I assume that this issue is not of much direct relevance to your work? Anyway, RSNZ’s report seems instead to be about the more general issue of declining funding and declining expertise in taxonomy in NZ. If, as a result of the RSNZ report, the government makes sure that such collections aren’t in danger of loss due to becoming uneconomical for their caretaker institutions to sustain (e.g. The Entomology Research Museum at Lincoln University, which nearly met this fate), then I am all for it. However, I am not in favour of the government just generally throwing more funding in the area of taxonomy, for it will likely just get swallowed up for no real gain to the country, and this wasn’t the issue that RSNZ was commissioned to report on! But moreover, the report isn’t just about biosecurity, as Paul points out above. I think the country should be embarrassed (at this stage of its development) about how little it knows about its indigenous biota, particularly when it prides itself as ‘clean & green’ and environmentally-aware. NZ still has huge numbers of undescribed species (even among vascular plants (! ), let alone smaller organisms); its vouchered documentation of its biodiversity (i.e., specimens in natural history collections) is, to be generous, adequate, and breathtakingly poor for some parts of the country; databasing of the current collections is poor (shockingly bad for invertebrates), limiting their usefulness when, in this digital age, all of this information should be easily accessible; many of even our named species are poorly known (e.g., > 900 species of lichens are Data Deficient; that is, nearly half of our lichens are so poorly known that they can’t even be given a conservation ranking! ), with conservation rankings not being formally done for many biotic groups. Without these kinds of information, how does NZ do *informed* management of its biota? (It is very easy to argue that it is not presently capable.) I think all of those jobs involve taxonomists using natural history collections, and there will need to be more taxonomic work being done if NZ wants to credibly manage its biota (both native and introduced). Leon, a lot of what you say is very true, and I fully agree. Certainly, taxonomy in N.Z. *could* benefit greatly from carefully targeted boosts to the current level of funding. What I don’t want to see, however, is increased funding just being thrown by govt, like a lolly scramble, in the direction of taxonomists, to do with what they will. As I said, RSNZ was commissioned to report on the importance of nationally significant natural history collections. This was presumably intended to justify extra funding from govt aimed at keeping such collections safe from closure due to becoming uneconomical. However, the RSNZ report has morphed into something of a far more general nature, or so it seems to me. Also, the biosecurity argument has been pushed too far. Sure, we don’t have all the 20K or so cultivated plant species in NZ fully documented, but this isn’t causing the country any particularly serious problems. Having more and/or better funded taxonomists isn’t going to prevent further incursions of Queensland fruit fly, etc. Most new incursion investigations (of insects anyway) are stood down by MPI without any need for a response because they don’t pose any significant threat. Those possible incursions which do pose a threat are already well known and MPI stands ready to deal with them without the need for increased input from taxonomists. So, let’s stick to the original brief, shall we? Why should the govt put aside funding to keep nationally significant natural history collections safe from closure? That was the question. I don’t see biosecurity as being one of the main answers to that question. (1) To endorse the RSNZ report. The overall conclusions concur with those of previous reports carried out by former government ministries (especially DSIR and MoRST) over the past 25 or so years, acknowledging, inter alia, the persistent decline in funding for collections-based research and in national taxonomic capacity. Notwithstanding the recommendations in these reports, little has changed and the decline continues. When I was a research leader in 1992 (when CRIs began) we had 5.3 FTEs in marine-invertebrate taxonomy at NIWA; now it is slightly less than 2 FTEs. On the other hand, we have increased effort in hitherto under-resourced collections management and databasing. (2) To point out that taxonomic research carried out at NIWA, for example, has direct application to, and underpins, other organisational research, especially provision of validated species names (through monography and other forms of species description) for much ecological research (seamount biology, food of commercial fishes, marine trophic structures, species composition and distribution of biogenic habitats, potential impacts of extractive activities at the seafloor, alien-species incursion and spread, harmful algal blooms, nuisance seaweeds, calcareous phytoplankton likely to be affected by ocean acidification, and many more), and supports the work of other interests in conservation (assessing rare and threatened species and providing knowledge of habitat /biotope distributions) and biotechnology (natural-products research). Without this expertise, NIWA’s marine-biological research would be severely handicapped. Validated authoritative names underpin all such biological research. Historically in New Zealand too many ecological surveys listed, say, worm species A, B, C, or crustacean species 1, 2, 3, perhaps to genus or only family. Actually, this practice necessarily continues for many groups of marine organisms. Currently, to make up shortfalls in national taxonomic capacity for some marine groups we solicit overseas expertise. This is very successful up to a point, but, with the decline in the numbers of active, publishing, marine taxonomists worldwide (for example, there are fewer than five black-coral experts globally and they are funded to do mostly other kinds of research), it is a limited solution. Of the 238 authors of the New Zealand Inventory of Biodiversity (published 2009-2012), only about 150 were New Zealanders; the rest were distributed in 18 other countries. Of those 150, many were retired or not actively doing taxonomic research but knew enough about a taxon to contribute to the inventory. At the very least, what would be sensible is a return to previous levels of support such as prevailed 25-30 years ago. Currently, major gaps in marine-taxonomic need pertain to Amphipoda, Isopoda and Anthozoa [New Zealand has NEVER had indigenous employed taxonomic expertise (only parataxonomic) for any coral or anemone group and half of our >550 known species remain undescribed while more continue to be discovered], we are thin on the ground (mostly one person deep) for the mega-diverse groups of marine Mollusca and Nematoda, and marine parasites are almost completely ignored. Is it really asking too much to have at least five FTEs of new marine taxonomists in New Zealand, i.e. just five more people out of the total working population of New Zealand? Similar arguments can be made for the hyper-diverse groups among New Zealand’s terrestrial biota. The RSNZ-initiated report has 11 sensible recommendations that should be acted upon. A national strategy that would integrate collections, taxonomic research and databasing would serve New Zealand (and the New Zealand Biodiversity Strategy) well. Dennis makes some valid points regarding general issues to do with taxonomy in NZ. However, as I keep having to repeat, the RSNZ report was supposed to be about the importance of nationally significant natural history collections in NZ, in order to convince (or justify) the govt to provide a funding framework that would keep such collections safe from the threat of closure, should the collections otherwise become uneconomical to maintain. It was not intended to throw more funding generally in the direction of taxonomists. Biosecurity considerations are not a big reason for maintaining these collections. Sure taxonomists want more funding. If they get it, some of them will probably not deliver increased or improved outputs. At any rate, this isn’t what the RSNZ report was intended to address.